Every year or so Gizmodo's Adam Clark Estes tells me he’s found a pair of headphones that are genuinely exceptional, and so I, being a headphones hoarder, am obliged to try them out. Usually, he’s right! But when it comes to in-ear headphones, his suggestions have left me filled with regret and my wallet woefully empty. You can’t just borrow your buddy’s in-ear headphones or earbuds—it’s disgusting. So Adam suggests a pair of earbuds and tells me they fit great, and I buy them and immediately hate them, and thank goodness my flatmate and my dad don’t have the same hang-ups about sharing earbuds, you know? What is it? 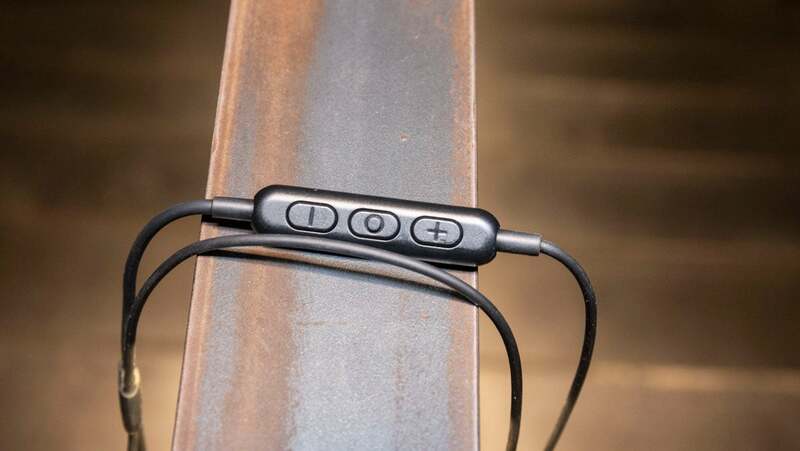 : A Bluetooth cable for MMCX headphones. Like: It actually works, and damn well. Don't Like: The battery dangles and looks kind of dumb. And if you can’t find headphones that fit, you can at least get some nice earbuds that support custom moulds. 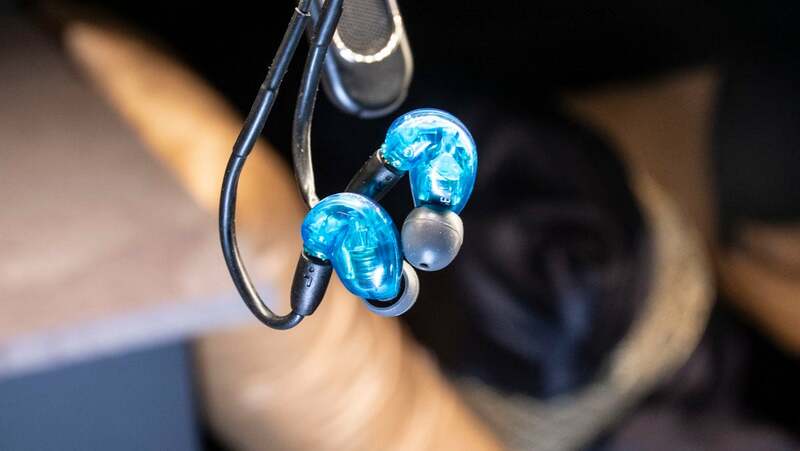 Unfortunately, that customisability doesn’t apply to most wireless buds we like and recommend on this blog. The Jabra Elite 65T that Adam raves about (and they do sound good) aren’t compatible with custom moulds. Meanwhile, AirPods fit terribly and don’t sound good, but they are very easy to use. If you want wireless, it feels like you have to eschew customisation to find the perfect headphones for your ears. 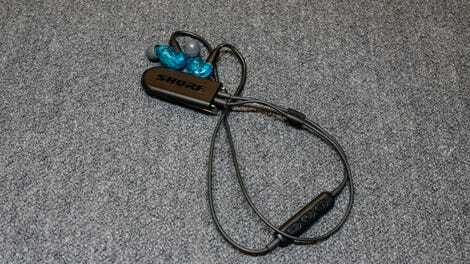 But Shure’s latest Bluetooth adapter, the £139 RMCE-BT2, changes that for me. Shure headphones, including the affordable and lovely 215s, accurate if a little reedy 535s, and the chunky but perfect sounding 846s, all use the same little plugs when you’re connecting the buds to the cords. That plug, the MMCX connector, is commonly used across a range of earbuds besides Shure too. 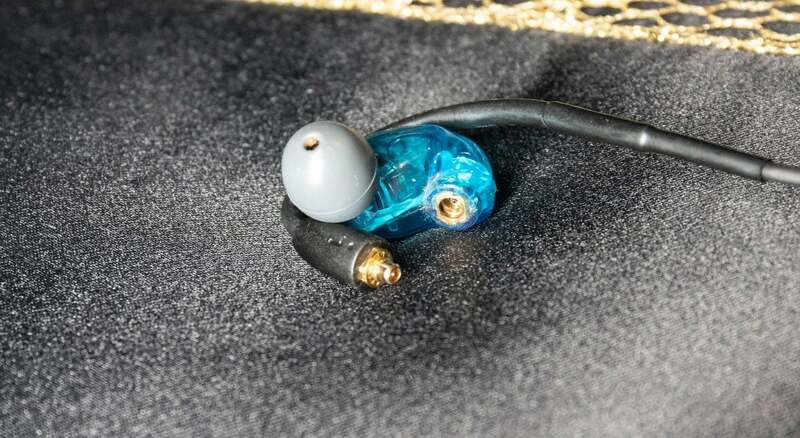 Campfire Audio, Westone, Massdrop, Ultimate Ears, and even Fender make in-ear monitors with MMCX cable support. In the MMCX system, you can just switch out the cable on your headphones whenever it begins to fray, or opt for pricey custom cables. There are a couple of Bluetooth cables that connect to MMCX earbuds, including an earlier model from Shure (that’s still available for £99), but they’ve all had a problem: They’re trash. I’m serious. 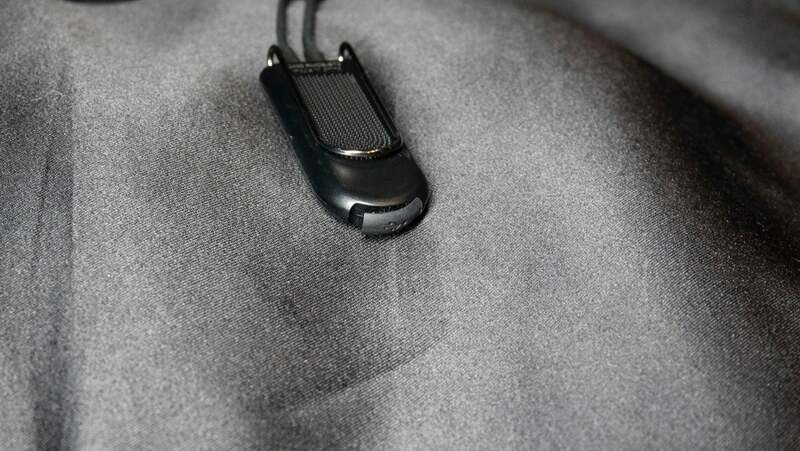 They’re buggy, with poor connectivity, or they store their Bluetooth radio and battery in a weird place that makes them uncomfortable to wear, or they just have terrible audio quality. I’ve used quite a few trying to turn my trusty 215s into convenient wireless headphones like those that Adam likes, but I can’t stand. A little further up one side of the cable are the controls and microphone module. The microphone works perfectly fine, with people hearing me (and my surroundings) quite well on phone calls. The centre button, which lets you pause and resume playback, toggle the headphones on and off, and activate the voice assistant, is easy to use. There is a slight delay activating Siri via the button. The volume bumpers on either side of the centre actually work—something that I can’t say about plenty of expensive MMCX cables I’ve purchased over the years. The £139 asking price might look steep, particularly when you consider AirPods cost just £20 more, but the AirPods sound like a train station intercom system compared to many of the headphones the Shure RMCE-BT2 Bluetooth 5.0 adapter works with. This cable is about customising your current set up, and for people who care about audio, it’s been a long time coming, and very welcome.